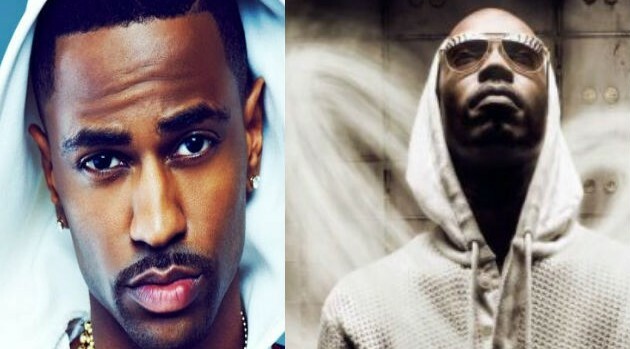 UKnowBigSean.com; Facebook.com/JuicyJMusicHip-hop artists from Jay-Z to J. Cole have enjoyed solid first-week sales this summer and Big Sean is no different. The rapper’s sophomore album, Hall of Fame, enters at #3 on the Billboard 200 album chart. According to the publication, the G.O.O.D. Music rapper’s album sold 72,000 copies in its first week, slightly fewer than his 2011 debut Finally Famous, which debuted at #3 with 87,000 units sold. Elsewhere, Juicy J also cracked the top five of the Billboard 200 chart with his highly anticipated major label debut, Stay Trippy. Led by the hit single, “Bandz A Make Her Dance,” Juicy’s disc is positioned at #4 with more than 64,000 units sold, marking a vast improvement from his last solo project, 2009’s Hustle Till I Die, which sold fewer than 6,000 copies in its opening week. The final rap project to debut this week was Goodie Mob‘s reunion album, Age Against the Machine. Their first effort in 14 years, following 1999’s World Party, claimed the number 38 position with more than 10,000 copies sold.